That pyramid is finally solid. Your team’s jumps couldn’t be more in sync. Those back handsprings have never looked better. Your mini team finally remembers their dance! These are all small victories compared to the rush of pride your athletes feel once they strut off our mat having done a job well done! If you want to give your athletes this joy and pride, make sure to bring them to one of our all star cheer events! Work Hard and Show Us What You’ve Got! 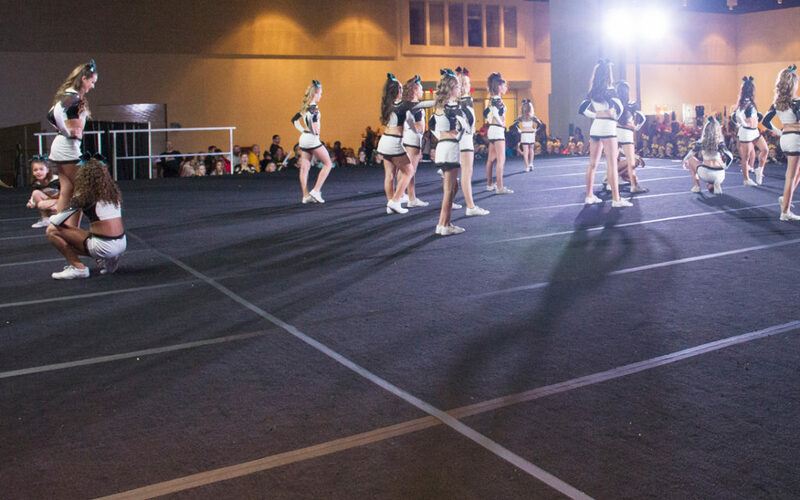 Cheerleading is for everyone, which is why we watch attentively as all your athletes take the mat. Whether you are bringing your All Star athletes, your All Star Prep athletes who have never competed before, or both, you can be certain that they will receive the support and encouragement that they need to shine. We welcome all Mississippi gyms (and all others willing to travel!) to show our judges what they can do. Your team could even take home the coveted “Grand Champion” title. If you are not from Mississippi or you are traveling from farther away, consider looking for a hotel here. These hotels are all close to all our cheer events, meaning that your families won’t be scrambling or running late when it’s time to meet up and warm up! If you are ready to give your athletes the opportunity to perform on center stage and awaken their love of performing, then it’s time to register! We look forward to seeing you, your athletes, and all your adoring fans as your team takes the mat.